BMWB, WT Enterprise Center, and the SBDC hosted the first annual Entrepreneur Law School. Topics included Entity Choice and Operation; Employment; Building a Brand; Finance, Handling a Lawsuit, Contracts & Real Estate, and Succession Planning. Thank you to all attendees. It was a pleasure giving back to our community. This entry was posted in Uncategorized on September 7, 2018 by bmwb. 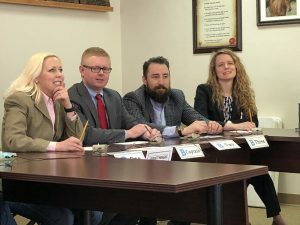 Attorneys Tyler Topper, Hollye Hawkins, Wes Wright, and Leah Davis competed against 4 middle school students from Ascension Academy in a mock Science Bowl at the Amarillo Chamber of Commerce. BMWB participated to raise awareness in the event. The students will be moving on to compete in the February event hosted by the Pantex Plant. Good luck to our area students! This entry was posted in Uncategorized on January 31, 2018 by bmwb. Congratulations to Grant Gibson on becoming a Partner. 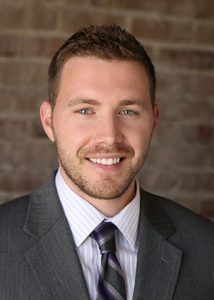 Grant has been practicing as a civil litigation attorney at BMWB since 2013. 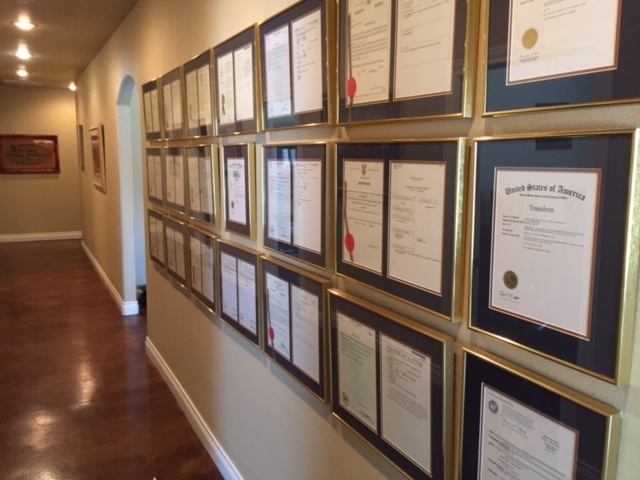 Grant is a zealous advocate for our clients who entrust him with their most important legal matters. He has tried several cases in his career, including successfully obtaining two verdicts over $1,000,000. This entry was posted in Uncategorized on December 28, 2017 by bmwb. 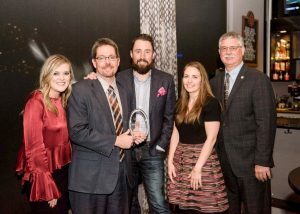 We are honored to have been selected as this year’s recipient of the Golden Egg Award from the West Texas A&M University Enterprise Center. The Golden Egg Award is given to a community organization that actively supports the growth of local entrepreneurs. We’re proud to be a part of the thriving entrepreneurial community in the Texas Panhandle. Thank you to the great staff at the WTEC for recognizing and encouraging our efforts! This entry was posted in Uncategorized on December 20, 2017 by bmwb. This entry was posted in All on January 11, 2017 by bmwb. 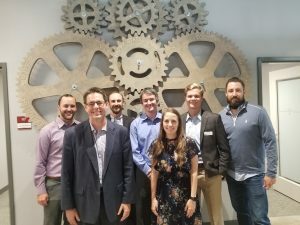 Join BMWB attorney, Chris Stewart, at the NALS luncheon on Tuesday, August 18, where he will present the second part of his Lunch and Learn series, Online Reputation, Privacy and Random Stories About Famous People. You won’t want to miss it. This entry was posted in All on August 14, 2015 by bmwb. Among the international businesses that call Amarillo home, Global Animal Products, Inc., located on the aptly-named Airway Boulevard, is truly a high flyer. 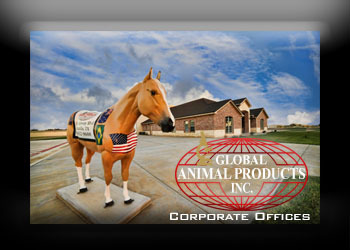 Global Animal Products manufactures and markets mineral supplement products primarily to the feedlot cattle, poultry, and dairy industries. As their name implies, Global Animal Products conducts business on a global scale-in the U.S., South Africa, Brazil, Indonesia, Australia and New Zealand. Their website is www.gapinc-usa.com. This entry was posted in All on August 13, 2015 by bmwb. Upcoming Lunch Seminar: If I Owned A Marketing Firm – Insights From a Trademark and Copyright Attorney. The Amarillo Advertising Federation is hosting their next meeting on Wednesday, March 25, 2015. The speaker for this lunch meeting will be Chris Stewart, a brand strategy attorney who regularly collaborates with marketing professionals. He will share his experiences with the biggest legal issues that face marketing professionals. This discussion will touch on trademark, copyright, clearance, advertising and social media law. Chris will be providing lots of free tips and pointers that you won’t want to miss. This meeting will be held at the Amarillo Club on the 30th floor of the Chase Tower in Downtown Amarillo. The lunch starts at 11:45 a.m. along with some club announcements. This will then be followed by the presentation beginning around 12:15 – 12:30 p.m. and lasting until about 1 p.m. Afterwards, there will be a brief question and answer portion at the end. The members of this club are advertising professionals that represent nonprofits, ad agencies, TV, higher education, print companies, design studios, etc. and are all interested in what is going on in the industry. Non-club members can join the seminar for a $25 entrance fee. The Amarillo Advertising Federation website can be found here. This entry was posted in Advertising, All, Copyright, Trademark on March 12, 2015 by bmwb. Cost is $25. Space is limited! This entry was posted in All on November 6, 2014 by bmwb. 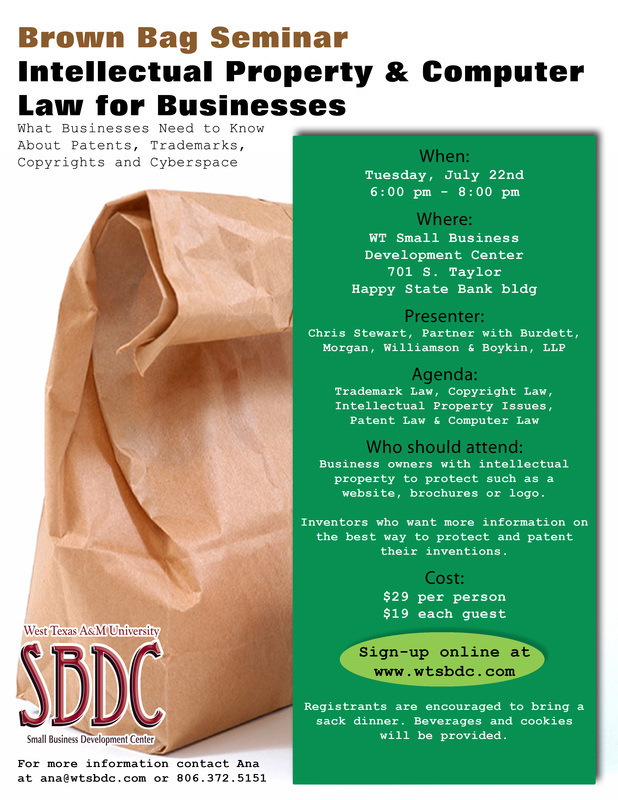 Chris Stewart, partner with Burdett, Morgan, Williamson & Boykin, LLP will be presenting a seminar on Intellectual Property and Computer Law on Tuesday, July 22nd 2014. The seminar will run from 6:00 p.m. – 8:00 p.m. at the WT Small Business Development Center at 701 S. Taylor Ste. 118, Amarillo, TX, located in the Happy State Bank building. This seminar is not a bunch of lawyer-speak. Chris really focuses on the practical tips in an easy-to-understand manner. See the flyer below for more information, or sign up here. 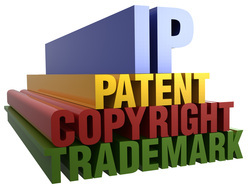 This entry was posted in All, Copyright, Licensing, Patents, Trademark on July 15, 2014 by bmwb.